Elderflower is a popular European flavour made from the blossoms of elderberries. Combine Monin elderflower syrup, Monin green apple fruit mix, and water in an ice ball mould. In serving glass, add ice ball. Top up with 200ml pre-brewed tea. 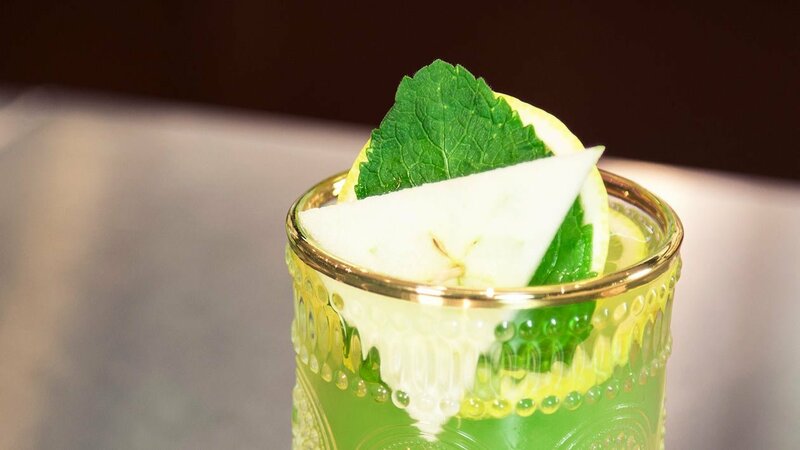 Garnish with lemon wedge, apple slice and mint leaf.